Create Instant Entries and Exits! 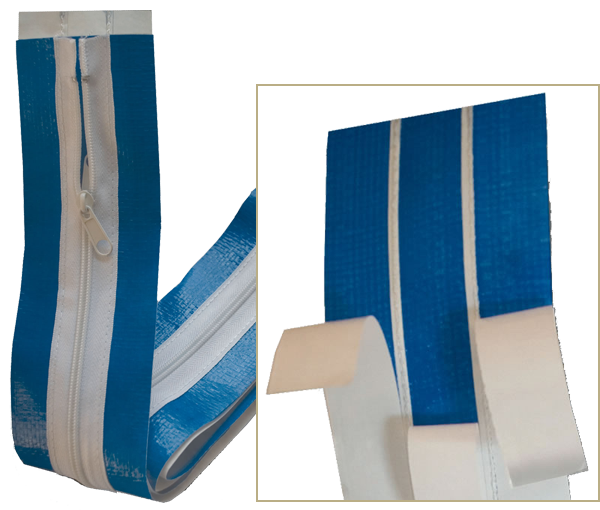 Stick n’ Zip adhesive zippers provide the ability to create instant entry/exit from polyethylene enclosures, tarps or canvas. These self-adhering zippers can be quickly applied to create a doorway location of your choice and control the spread of dust and other contaminants on the job site. A single two-pack can create a roll-up door for easy entry/exit large enough for moving equipment, ladders etc. Why is Stick n’ Zip the better choice?